This week Hank is joined on Hank Unplugged by his daughter Christina to talk about Christmas traditions and the inspiration for writing The Heart of Christmas. 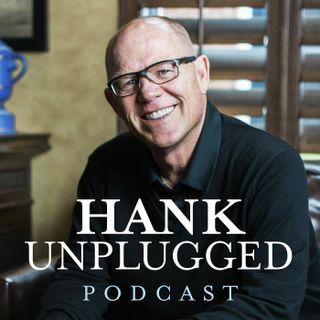 The Hank Unplugged podcast takes you out of the studio and into the study; however, this edition takes you into the Hanegraaff home for an even more personal discussion on the importance of the Incarnation and preparing our hearts for the Christmas season. Topics discussed include: the importance of Christians preparing their hearts to ... See More celebrate Christmas (1:00); the unique significance of the Incarnation (3:00); clarifying issues surrounding the Atonement (8:00); how the Incarnation reveals our hope of Resurrection (10:30); how Hank’s parents' practice of daily devotionals inspired him with an appreciation for studying Scripture (19:00); the importance of preparing ourselves to celebrate Christ and how traditions can impact that preparation (23:00); remembering Christmas as a time not to receive but to give with a grateful heart to meet the needs of others (26:30); a shared memory of ministering to the poor and the downtrodden with humility and respect for what they can teach us (32:00); exploring what it really means that we are made in the image of God (38:30); Hank discusses the significance of his favorite hymn, When Peace, Like a River (48:00). Great Job, Christina! Thank you and Hank for such an inspirational podcast. I thoroughly enjoyed and plan to get the book.